I joined the Hampshire Library Service in July 2016 as a level 2 Customer Service apprentice. It was a huge learning curve for me, as not only did I have to learn everything involved with a librarian role (It’s not just books!) but, after 20 years out of education, I had to re-learn how to study. Research, referencing, formatting techniques… Fortunately I do love a challenge, and I enjoyed being able to push myself and expand my skills and knowledge. Fear not, dear reader, for less than a month later, with the support and encouragement of my Line Manager, colleagues and level 2 tutor, I was offered the opportunity to undertake an 18-month level 3 Business Administration qualification. I feel extremely lucky, and a little overwhelmed, that the people around me within my workplace think that I am worth investing in, considering the time and effort needed. Both the level 2 and level 3 qualifications will prepare me for a long (hopefully!) career within the Library Service. The level 3 Business Administration is a whole new experience for me. I was confident and comfortable during the Level 2 Customer Service as I felt I was on familiar territory having spent years working in customer service roles. Business Administration is really interesting, It has made me realise just how much work goes into running an organisation such as Hampshire County Council, something that I wouldn’t necessarily have given much thought to, prior to starting this qualification. But it’s not all research and coursework, I have had some amazing opportunities. In October I took part in an Apprentice team building day in the New Forest, building, climbing, problem solving…It was a great day despite the rain and was so beneficial for creating a bond amongst all of us. 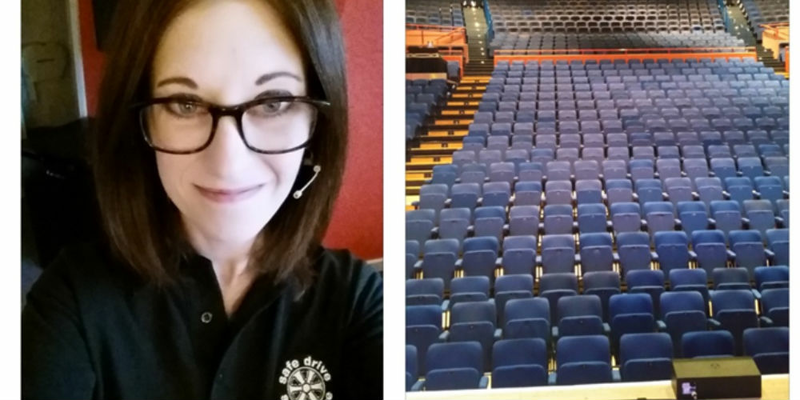 I also had an opportunity to take part in the Safe Drive Stay Alive campaign in November, spending the day at the Anvil Theatre in Basingstoke, speaking to young people about how to stay safe when driving or as passengers. The other speakers were wonderful, and as seasoned Pro’s, very kind and supportive. It was definitely a little out of my comfort zone, standing on stage in the spotlight addressing 900 people – twice! – but I did it and I’m fairly certain that now I can do anything!